Christianity in the 20th century was characterized by an accelerating secularization of Western society. 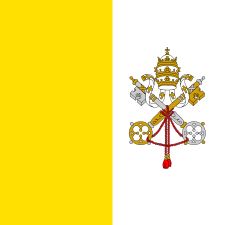 The Roman Catholic Church instituted many reforms in order to modernize. Catholic missionaries also made inroads in the Far East, establishing further followings in China, Taiwan, and Japan. In 1891 Pope Leo XIII issued Rerum novarum in which the Church defined the dignity and rights of industrial workers. The Industrial Revolution brought many concerns about the deteriorating working and living conditions of urban workers. Influenced by the German Bishop Wilhelm Emmanuel Freiherr von Ketteler, in 1891 Pope Leo XIII published the encyclical Rerum novarum, titled "On Capital and Labor". This encyclical set in context Catholic social teaching in terms that rejected socialism but advocated the regulation of working conditions. Rerum novarum argued for the establishment of a living wage and the right of workers to form trade unions. Rerum novarum is remarkable for its vivid depiction of the plight of the 19th-century urban poor and for its condemnation of unrestricted capitalism. Among the remedies it prescribed were the formation of trade unions and the introduction of collective bargaining, particularly as an alternative to state intervention. Rerum novarum also recognized that the poor have a special status in consideration of social issues: the modern Catholic principle of the "preferential option for the poor" and the notion that God is on the side of the poor found their first expression in this document. Forty years after Rerum novarum, and more than a year into the Great Depression, Pope Pius XI issued Quadragesimo anno, subtitled "On Reconstruction of the Social Order". Released on 15 May 1931, this encyclical expanded on Rerum novarum, noting the positive effect of the earlier document but pointing out that the world had changed significantly since Pope Leo's time. Unlike Leo, who addressed the mainly condition of workers, Pius XI concentrated on the ethical implications of the social and economic order. He called for the reconstruction of the social order based on the principle of solidarity and subsidiarity. He also noted major dangers for human freedom and dignity, arising from unrestrained capitalism and totalitarian communism. Quadragesimo Anno also supported state intervention to mediate labor-management conflicts (a reference to the economic system which Mussolini was attempting to establish in Italy at the time), and introduced the concept of subsidiarity into Catholic thought. One question which had occupied some Catholics prior to Quadragesimo anno was whether Leo XIII's condemnation of radical left-wing politics in Rerum novarum extended only to outright communism or whether it included milder forms of socialism as well. Pius made it clear that non-communistic Socialism was included in the condemnation. The Catholic Church thus marked out a distinctive position for itself between free-market capitalism on the right and statist socialism on the left. The social teachings of Pope Pius XII repeat these teachings, and apply them in greater detail not only to workers and owners of capital, but also to other professions such as politicians, educators, housewives, farmers bookkeepers, international organizations, and all aspects of life including the military. Going beyond Pius XI, he also defined social teachings in the areas of medicine, psychology, sport, TV, science, law and education. There is virtually no social issue, which Pius XII did not address and relate to the Christian faith. He was called "the Pope of Technology, for his willingness and ability to examine the social implications of technological advances. The dominant concern was the continued rights and dignity of the individual. With the beginning of the space age at the end of his pontificate, Pius XII explored the social implications of space exploration and satellites on the social fabric of humanity asking for a new sense of community and solidarity in light of existing papal teachings on subsidiarity. The Catholic Church exercised a prominent role in shaping America's labor movement. In 1933, two American Catholics, Dorothy Day and Peter Maurin, founded a new Catholic peace group, the Catholic Worker that would embody their ideals of pacifism, commitment to the poor and to fundamental change in American society. In Latin America, a succession of anti-clerical regimes came to power beginning in the 1830s. In the 1920s and 1930s, the Catholic Church was subjected to unprecedented persecution in Mexico, Spain and the Soviet Union. Pope Pius XI called this the "terrible triangle". The "harsh persecution short of total annihilation of the clergy, monks, and nuns and other people associated with the Church", began in 1918 and continued well into the 1930s. The Civil War in Spain started in 1936, during which thousands of churches were destroyed, thirteen bishops and some 6,832 clergy and religious Spaniards were assassinated. After the widespread Church persecutions in Mexico, Spain and the Soviet Union, Pius XI defined communism as the main adversary of the Catholic Church in his encyclical Divini Redemptoris issued on 19 March 1937. He blamed Western powers and media for a "conspiracy of silence" with respect to the persecutions carried out by Communist, Socialist and Fascist forces. In Mexico, the Calles Law eventually led to the "worst guerilla war in Latin American History", the Cristero War. Between 1926 and 1934, over 3,000 priests were exiled or assassinated. In an effort to prove that "God would not defend the Church", Calles ordered Church desecrations where services were mocked, nuns were raped and captured priests were shot. Calles was eventually deposed and despite the persecution, the Church in Mexico continued to grow. A 2000 census reported that 88 percent of Mexicans identify as Catholic. During the Spanish Civil War, Spanish republicans and anarchists targeted priests and nuns as symbols of conservatism, murdering large numbers of them. Confiscation of Church properties and restrictions on people's religious freedoms have generally accompanied secularist and Marxist-leaning governmental reforms. Worried by the persecution of Christians in the Soviet Union, Pius XI mandated Berlin nuncio Eugenio Pacelli to work secretly on diplomatic arrangements between the Vatican and the Soviet Union. Pacelli negotiated food shipments for Russia, and met with Soviet representatives including Foreign Minister Georgi Chicherin, who rejected any kind of religious education, the ordination of priests and bishops, but offered agreements without the points vital to the Vatican. Despite Vatican pessimism and a lack of visible progress, Pacelli continued the secret negotiations, until Pius XI ordered them to be discontinued in 1927, because they generated no results and were dangerous to the Church, if made public. The "harsh persecution short of total annihilation of the clergy, monks, and nuns and other people associated with the Church", continued well into the 1930s. In addition to executing and exiling many clerics, monks and laymen, the confiscating of Church implements "for victims of famine" and the closing of churches were common. Yet according to an official report based on the census of 1936, some 55% of Soviet citizens identified themselves openly as religious, while others possibly concealed their belief. Following the Soviet doctrine regarding the exercise of religion, postwar Communist governments in Eastern Europe severely restricted religious freedoms. Even though some clerics collaborated with the Communist regimes, the Church's resistance and the leadership of Pope John Paul II have been credited with hastening the downfall of communist governments across Europe in 1991. The rise to power of the Communists in China of 1949 led to the expulsion of all foreign missionaries, "often after cruel and farcical 'public trials'." In an effort to further isolate Chinese Catholics, the new government created the Patriotic Church whose unilaterally appointed bishops were initially rejected by Rome but subsequently many were accepted. The Cultural Revolution of the 1960s encouraged gangs of teenagers to eliminate all religious establishments and convert their occupants into labourers. When Chinese churches eventually reopened, they remained under the control of the Communist party's Patriotic Church, and many Catholic pastors and priests continued to be sent to prison for refusing to renounce allegiance to Rome. General Juan Perón's Argentina and Fidel Castro's Cuba also engaged in extensive anti-clericalism, confiscating Catholic properties. In 1954, under the regime of General Juan Perón, Argentina saw extensive destruction of churches, denunciations of clergy and confiscation of Catholic schools as Perón attempted to extend state control over national institutions. Cuba, under atheist Fidel Castro, succeeded in reducing the Church's ability to work by deporting the archbishop and 150 Spanish priests, discriminating against Catholics in public life and education and refusing to accept them as members of the Communist Party. The subsequent flight of 300,000 people from the island also helped to diminish the Church there. Authoritarianism or Fascism describes certain related political regimes in 20th-century Europe, especially the Nazi Germany of Hitler, the authoritarian Soviet Union, the Fascist Italy of Mussolini and the falangist Spain of Franco. Pope Pius XI was moderately skeptical of Italian Fascism. To Pope Pius XI, Dollfuss in Austria was the ideal politician realising Quadragesimo anno. In the 1937 encyclical Mit brennender Sorge, drafted by the future Pope Pius XII, Pope Pius XI warned Catholics that antisemitism is incompatible with Christianity. Read from the pulpits of all German Catholic churches, it described Hitler as an insane and arrogant prophet and was the first official denunciation of Nazism made by any major organization. Nazi persecution of the Church in Germany then began by "outright repression" and "staged prosecutions of monks for homosexuality, with the maximum of publicity." When Dutch bishops protested against deportation of Jews in the Netherlands, the Nazi's responded with even more severe measures. On 20 July 1933, the Vatican signed an agreement with Germany, the Reichskonkordat, partly in an effort to stop Nazi persecution of Catholic institutions. When this escalated to include physical violence, Pope Pius XI issued the 1937 encyclical Mit brennender Sorge. Drafted by the future Pope Pius XII and read from the pulpits of all German Catholic churches, it criticized Hitler, and condemned Nazi persecution and ideology and has been characterized by scholars as the "first great official public document to dare to confront and criticize Nazism" and "one of the greatest such condemnations ever issued by the Vatican." According to Eamon Duffy, "The impact of the encyclical was immense" and the "infuriated" Nazis increased their persecution of Catholics and the Church by initiating a "long series" of persecution of clergy and other measures. Pius XI later warned that antisemitism is incompatible with Christianity. Surviving prisoners at Dachau concentration camp wave on liberation day. Of the 2700 ministers who were imprisoned there during World War II, over 2600 were Roman Catholic priests, 2000 were put to death. Despite a number of condemnations of atrocities committed during World War II, Pope Pius XII has been criticized for not having explicitly spoken out against the Holocaust. Although he never defended himself against such criticism, there is evidence that he chose to keep his public pronouncements circumspect while acting covertly to assist Jews seeking refuge from the Holocaust. Although Pius XII was exhorted by the British government and the Polish government-in-exile to condemn Nazi atrocities directly, he declined to do so out of concern that such pronouncements would only instigate further persecution by the Nazis. These sentiments were based on opinions expressed to him by bishops in Germany and Poland. When Dutch bishops protested against the wartime deportation of Jews, the Nazis responded by increasing deportations rounding up 92 converts including Edith Stein who were then deported and murdered. "The brutality of the retaliation made an enormous impression on Pius XII." In Poland, the Nazis murdered over 2,500 monks and priests and even more were imprisoned. In the Soviet Union, an even more severe persecution occurred. After the war, Pius XII's efforts to protect their people were recognised by prominent Jews including Albert Einstein and Rabbi Isaac Herzog. However, the Church has also been accused by some of encouraging centuries of antisemitism and Pius himself of not doing enough to stop Nazi atrocities. Prominent members of the Jewish community have contradicted these criticisms. The Israeli historian Pinchas Lapide interviewed war survivors and concluded that Pius XII "was instrumental in saving at least 700,000, but probably as many as 860,000 Jews from certain death at Nazi hands". Some historians dispute this estimate while others consider Pinchas Lapide's work to be "the definitive work by a Jewish scholar" on the holocaust. Even so, in 2000 Pope John Paul II on behalf of all people, apologized to Jews by inserting a prayer at the Western Wall that read "We're deeply saddened by the behavior of those in the course of history who have caused the children of God to suffer, and asking your forgiveness, we wish to commit ourselves to genuine brotherhood with the people of the Covenant." This papal apology, one of many issued by Pope John Paul II for past human and Church failings throughout history, was especially significant because John Paul II emphasized Church guilt for, and the Second Vatican Council's condemnation of, anti-Semitism. The papal letter We Remember: A Reflection on the Shoah, urged Catholics to repent "of past errors and infidelities" and "renew the awareness of the Hebrew roots of their faith." In Poland, the Nazis murdered over 2500 monks and priests while even more were sent to concentration camps. 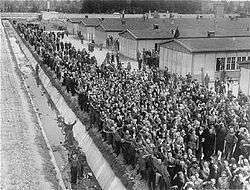 The Priester-Block (priests barracks) in Dachau concentration camp lists 2600 Roman Catholic priests. Stalin staged an even more severe persecution at almost the same time. After World War II historians such as David Kertzer accused the Church of encouraging centuries of anti-Semitism, and Pope Pius XII of not doing enough to stop Nazi atrocities. Prominent members of the Jewish community, including Golda Meir, Albert Einstein, Moshe Sharett and Rabbi Isaac Herzog contradicted the criticisms and spoke highly of Pius' efforts to protect Jews, while others such as rabbi David G. Dalin noted that "hundreds of thousands" of Jews were saved by the Church. Regarding the matter, historian Derek Holmes wrote, "There is no doubt that the Catholic districts, resisted the lure of National Socialism Nazism far better than the Protestant ones." Pope Pius XI declared - Mit brennender Sorge - that Fascist governments had hidden "pagan intentions" and expressed the irreconcilability of the Catholic position and Totalitarian Fascist State Worship, which placed the nation above God and fundamental human rights and dignity. His declaration that "Spiritually, [Christians] are all Semites" prompted the Nazis to give him the title "Chief Rabbi of the Christian World." South America, historically Catholic, has experienced a large Evangelical and Pentecostal infusion in the 20th century due to the influx of Christian missionaries from abroad. For example: Brazil, South America's largest country, is the largest Catholic country in the world, and at the same time is the largest Evangelical country in the world (based on population). Some of the largest Christian congregations in the world are found in Brazil. In 1939, Pope Pius XII, within weeks of his coronation, radically reverted the 250-year-old Vatican policy and permitted the veneration of dead family members. The Church began to flourish again with twenty new arch-dioceses, seventy-nine dioceses and thirty-eight apostolic prefects, but only until 1949, when the Communist revolution took over the country. A major event of the Second Vatican Council, known as Vatican II, was the issuance by Pope Paul VI and Orthodox Patriarch Athenagoras of a joint expression of regret for many of the past actions that had led up to the Great Schism between the Western and Eastern churches, expressed as the Catholic-Orthodox Joint declaration of 1965. At the same time, they lifted the mutual excommunications dating from the 11th century. The Catholic Church engaged in a comprehensive process of reform following the Second Vatican Council (1962–65). 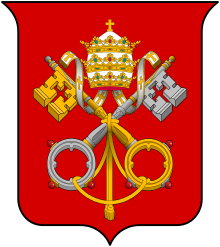 Intended as a continuation of Vatican I, under Pope John XXIII the council developed into an engine of modernisation. It was tasked with making the historical teachings of the Church clear to a modern world, and made pronouncements on topics including the nature of the church, the mission of the laity and religious freedom. The council approved a revision of the liturgy and permitted the Latin liturgical rites to use vernacular languages as well as Latin during mass and other sacraments. Efforts by the Church to improve Christian unity became a priority. In addition to finding common ground on certain issues with Protestant churches, the Catholic Church has discussed the possibility of unity with the Eastern Orthodox Church. At the Second Vatican Council (1962–1965) the debate on papal primacy and authority re-emerged, and in the Dogmatic Constitution on the Church Lumen gentium, the Roman Catholic Church's teaching on the authority of the Pope, bishops and councils was further elaborated. Vatican II sought to correct the unbalanced ecclesiology left behind by Vatican I. The result is the body of teaching about the papacy and episcopacy contained in the Dogmatic Constitution on the Church, Lumen gentium. Vatican II reaffirmed everything Vatican I taught about papal primacy and infallibility, but it added important points about bishops. Bishops, it says, are not "vicars of the Roman Pontiff." Rather, in governing their local churches they are "vicars and legates of Christ". Together, they form a body, a "college," whose head is the pope. This episcopal college is responsible for the well-being of the Universal Church. Here in a nutshell are the basic elements of the Council's much-discussed communio ecclesiology, which affirms the importance of local churches and the doctrine of collegiality. In a key passage about collegiality, Vatican II teaches: "The order of bishops is the successor to the college of the apostles in their role as teachers and pastors, and in it the apostolic college is perpetuated. Together with their head, the Supreme Pontiff, and never apart from him, they have supreme and full authority over the Universal Church; but this power cannot be exercised without the agreement of the Roman Pontiff". Much of the present discussion of papal primacy is concerned with exploring the implications of this passage. Chapter 3 of the dogmatic constitution on the Church of Vatican Council I (Pastor aeternus) is the principal document of the Magisterium about the content and nature of the primatial power of the Roman Pontiff. Chapter 4 is a development and defining of one particular characteristic of this primatial power, namely the Pope's supreme teaching authority, i.e. when the Pope speaks ex cathedra he teaches the doctrine of the faith infallibly. Changes to old rites and ceremonies following Vatican II produced a variety of responses. Some stopped going to church, while others tried to preserve the old liturgy with the help of sympathetic priests. These formed the basis of today's Traditionalist Catholic groups, which believe that the reforms of Vatican II have gone too far. Liberal Catholics form another dissenting group who feel that the Vatican II reforms did not go far enough. The liberal views of theologians such as Hans Küng and Charles Curran, led to Church withdrawal of their authorization to teach as Catholics. According to Professor Thomas Bokenkotter, most Catholics "accepted the changes more or less gracefully." In 2007, Benedict XVI reinstated the old mass as an option, to be celebrated upon request by the faithful. A new Codex Juris Canonici - Canon Law called for by John XXIII, was promulgated by Pope John Paul II on 25 January 1983. It includes numerous reforms and alterations in Church law and Church discipline for the Latin Church. It replaced the 1917 version issued by Benedict XV. The Catholic Church initiated a comprehensive process of reform under Pope John XXIII. Intended as a continuation of the First Vatican Council, the Second Vatican Council (1962–1965), developed into an engine of modernisation, making pronouncements on religious freedom, the nature of the Church and the mission of the laity. The role of the bishops of the Church was brought into renewed prominence, especially when seen collectively, as a college that has succeeded to that of the Apostles in teaching and governing the Church. This college does not exist without its head, the successor of St. Peter. It also permitted the Latin liturgical rites to use vernacular languages as well as Latin during Mass and other sacraments. Christian unity became a greater priority. In addition to finding more common ground with Protestant Churches, the Catholic Church has reopened discussions regarding the possibility of unity with the Eastern Orthodox churches. In the 1960s, growing social awareness and politicization in the Church in Latin America gave birth to liberation theology. The Peruvian priest, Gustavo Gutiérrez, became a primary theorist and, in 1979, the bishops' conference in Mexico officially declared the Latin American Church's "preferential option for the poor". Archbishop Óscar Romero, a supporter of the movement, became the region's most famous contemporary martyr in 1980, when he was murdered by forces allied with the government of El Salvador while saying Mass. Both Pope John Paul II and Pope Benedict XVI (as Cardinal Ratzinger) denounced the movement. The Brazilian theologian-priest Leonardo Boff was twice ordered to cease publishing and teaching. Pope John Paul II was criticized for his severity in dealing with proponents of the movement, but he maintained that the Church, in its efforts to champion the poor, should not do so by advocating violence or engaging in partisan politics. The movement is still alive in Latin America today, although the Church now faces the challenge of Pentecostal revival in much of the region. The sexual revolution of the 1960s brought challenging issues for the Church. Pope Paul VI's 1968 encyclical Humanae Vitae reaffirmed the Catholic Church's traditional view of marriage and marital relations and asserted a continued proscription of artificial birth control. In addition, the encyclical reaffirmed the sanctity of life from conception to natural death and asserted a continued condemnation of both abortion and euthanasia as grave sins which were equivalent to murder. Efforts to lead the Church to consider the ordination of women led Pope John Paul II to issue two documents to explain Church teaching. Mulieris Dignitatem was issued in 1988 to clarify women's equally important and complementary role in the work of the Church. Then in 1994, Ordinatio Sacerdotalis explained that the Church extends ordination only to men in order to follow the example of Jesus, who chose only men for this specific duty. The sexual revolution of the 1960s precipitated Pope Paul VI's 1968 encyclical Humanae vitae (On Human Life), which rejected the use of contraception, including sterilization, claiming these work against the intimate relationship and moral order of husband and wife by directly opposing God's will. It approved Natural Family Planning as a legitimate means to limit family size. Abortion was condemned by the Church as early as the 1st century, again in the 14th century and again in 1995 with Pope John Paul II's encyclical Evangelium vitae (Gospel of Life). This encyclical condemned the "culture of death" which the pope often used to describe the societal embrace of contraception, abortion, euthanasia, suicide, capital punishment, and genocide. The Church's rejection of the use of condoms has provoked criticism, especially with respect to countries where the incidence of AIDS and HIV has reached epidemic proportions. The Church maintains that in countries like Kenya and Uganda, where behavioral changes are encouraged alongside condom use, greater progress in controlling the disease has been made than in those countries solely promoting condoms. Feminists disagreed with these and other Church teachings and worked together with a coalition of American nuns to lead the Church to consider the ordination of women. They stated that many of the major Church documents were supposedly full of anti-female prejudice and a number of studies were conducted to discover how this supposed prejudice developed when it was deemed contrary to the openness of Jesus. These events led Pope John Paul II to issue the 1988 encyclical Mulieris dignitatem (On the Dignity of Women), which declared that women had a different, yet equally important role in the Church. In 1994 the encyclical Ordinatio sacerdotalis (On Ordination to the Priesthood) further explained that the Church follows the example of Jesus, who chose only men for the specific priestly duty. Well into the 20th century, Catholics—even if no longer resorting to persecution—still defined Protestants as heretics. Thus, Hilaire Belloc - in his time one of the most conspicuous speakers for Catholicism in Britain - was outspoken about the "Protestant heresy". He even defined Islam as being "A Christian heresy", on the grounds that Muslims accept many of the tenets of Christianity but deny the godhood of Jesus (see Hilaire Belloc#On Islam). However, in the second half of the century - and especially in the wake of Vatican II - the Catholic Church, in the spirit of ecumenism, tends not to refer to Protestantism as a heresy nowadays, even if the teachings of Protestantism are indeed heretical from a Catholic perspective. Modern usage favors referring to Protestants as "separated brethren" rather than "heretics", although the latter is still on occasion used vis-a-vis Catholics who abandon their Church to join a Protestant denomination. Many Catholics consider Protestantism to be material rather than formal heresy, and thus non-culpable. At a meeting in Balamand, Lebanon in June 1993, the Joint International Commission for the Theological Dialogue between the Roman Catholic Church and the Orthodox Church the delegates of the Eastern Orthodox Churches declared "...and that what has been called 'uniatism' can no longer be accepted either as a method to be followed nor as a model of the unity our Churches are seeking" (section 12 of the document). Concerning the Eastern Catholic Churches, it is clear that they, as part of the Catholic Communion, have the right to exist and to act in response to the spiritual needs of their faithful. The Oriental Catholic Churches who have desired to re-establish full communion with the See of Rome and have remained faithful to it, have the rights and obligations which are connected with this communion. The Joint International Commission for Theological Dialogue Between the Catholic Church and the Orthodox Church first met in Rhodes in 1980. In June 1995, Patriarch Bartholomew I, who was elected as the 273rd Ecumenical Patriarch of Constantinople in October 1991, visited the Vatican for the first time, when he joined in the historic inter-religious day of prayer for peace at Assisi. Pope John Paul II and the Patriarch explicitly stated their mutual "desire to relegate the excommunications of the past to oblivion and to set out on the way to re-establishing full communion." In May 1999, John Paul II was the first pope since the Great Schism to visit an Eastern Orthodox country: Romania. Upon greeting John Paul II, the Romanian Patriarch Teoctist stated: "The second millennium of Christian history began with a painful wounding of the unity of the Church; the end of this millennium has seen a real commitment to restoring Christian unity." Pope John Paul II visited other heavily Orthodox areas such as Ukraine, despite lack of welcome at times, and he said that healing the divisions between Western and Eastern Christianity was one of his fondest wishes. 1905 - Gunnerius Tollefsen is converted at a Salvation Army meeting under the preaching of Samuel Logan Brengle. Later he would become a missionary to the Belgian Congo and then first mission secretary of the Norwegian Pentecostal movement. 1911 - Christian & Missionary Alliance enters Cambodia and Vietnam. 1915 - Founded in 1913 in Nanjing, China as a women's Christian college, Ginling College officially opens with eight students and six teachers. It was supported by four missions: the Northern Baptists, the Christian Church (Disciples of Christ), the Methodists, and the Presbyterians. 1916 - Rhenish missionaries are forced to leave Ondjiva in southern Angola under pressure from the Portuguese authorities and Chief Mandume of the Kwanyama. By then, four congregations existed with a confessing membership of 800. 1928 - Cuba Bible Institute (West Indies Mission) opens; Jerusalem Conference of International Missionary Council; foundation of Borneo Evangelical Mission by Hudson Southwell, Frank Davidson and Carey Tolley. 1931 Jehovah's Witnesses founded see 1884 for more information. 1935 Dr. Frank C. Laubach, known as "The Apostle to the Illiterates." working in the Philippines, developed a literacy program that continues to teach millions of people to read. 1936 - With the outbreak of civil war in Spain, missionaries are forced to leave that country. 1938 Tripura Baptist Christian Union was established at Laxmilunga, Tripura. 1945 On the Feast of the Annunciation, Our Lady appears to a simple woman, Ida Peerdeman, in Amsterdam. This was the first of 56 appearances as "Our Lady of All Nations" , which took place between 1945 and 1959. 1948 - Alfredo del Rosso merges his Italian Holiness Mission with the Church of the Nazarene, thus opening Nazarene work on the European continent; Southern Baptist Convention adopts program calling for the tripling of the number of missionaries. 1949 - Southern Baptist Mission board opens work in Venezuela, Mary Tripp sent out by CEF Child Evangelism Fellowship to the Netherlands. 1951 - World Evangelical Alliance organized; Bill and Vonette Bright create Campus Crusade for Christ at UCLA; Alaska Missions is founded (later to be renamed InterAct Ministries). 1951 Bishop Fulton Sheen (1919–1979) debuts his television program Life is Worth Living on the DuMont Network. His half-hour lecture program on Roman Catholic theology remained the number one show on U.S. television for its time slot, winning several Emmys until Sheen ended the program in 1957. 1951 The Last Temptation a fictional account of the life of Jesus written by Nikos Kazantzakis, wherein Christ's divinity is juxtaposed with his humanity, is published, and promptly banned in many countries. 1953 - Walter Trobisch, who would publish I loved a girl in 1962, begins pioneer missionary work in northern Cameroon. 1954 Unification Church founded under the name Holy Spirit Association for the Unification of World Christianity, acronymed HSA-UWC. 1958 - Rochunga Pudaite completes translation of Bible into Hmar language (India) and was appointed the leader of the Indo-Burma Pioneer Mission; Missionaries Elisabeth Elliot and Rachel Saint make first peaceful contact with the Huaorani tribe in Ecuador. 1959 - Radio Lumiere founded in Haiti by West Indies Mission (now World Team); Josephine Makil becomes the first African-American to join Wycliffe Bible Translators; Feba Radio founded in UK. 1962-1965 Catholic Second Vatican Council, announced by Pope John XXIII in 1959, produced 16 documents which became official Roman Catholic teaching after approval by the Pope, purpose to renew "ourselves and the flocks committed to us"
1968 Zeitoun, Egypt, a bright image of the Virgin Mary as Our Lady of Zeitoun was seen over the Coptic Orthodox Church of Saint Demiana for over a 3-year period. Over six million Egyptians and foreigners saw the image, including Copts, Eastern Orthodox, Roman Catholic, Protestants, Muslims, Jews and people of no particular faith. 1970 - Frankfurt Declaration on Mission; Operation Mobilisation launches MV Logos ship; Abp. Makarios III (Mouskos) of Cyprus baptizes 10,000 into the Orthodox Church in Kenya. 1973 On 12 June 1973, near the city of Akita, Our Lady appears to Sister Agnes Katsuko Sasagawa. Three messages were given to Sr. Agnes over a period 5 months. Our Lady of Akita Marian apparitions. 1976 - U.S. Center for World Mission founded in Pasadena, California; 1600 Chinese assemble in Hong Kong for the Chinese Congress on World Evangelization; Islamic World Congress calls for withdrawal of Christian missionaries; Peace Child by Don Richardson appears in Reader's Digest. 1981 Kibeho, Rwanda reported that Our Lady appeared to several teenages telling them to pray to avoid "rivers of blood". This was an ominious foreshadowing of the Rwanda Genocide of 1994. 1981 Mother Angelica launches EWTN. It grows to become one of the largest television networks in the world. The operation expands to radio in 1992. 1988 The celebration of 1000 years since the baptism of Kievan Rus throughout the R.O.C. 1994 "Evangelicals & Catholics Together"
1999 - Trans World Radio goes on the air from Grigoriopol (Moldova) using a 1-million-watt AM transmitter; Veteran Australian missionary Graham Stuart Staines and his two sons are burned alive by Hindu extremists as they are sleeping in a car in eastern India. 1999 Gospel of Jesus Christ - An Evangelical Celebration; a consensus Gospel endorsed by various evangelical leaders including J.I. Packer, John Ankerberg, Jerry Falwell, Thomas C. Oden, R.C. Sproul, Wayne Grudem, Charles Swindoll, et al. 2000 - Asia College of Ministry (ACOM), a ministry of Asia Evangelistic Fellowship (AEF), was launched by Jonathan James, to train national missionaries in Asia. 1 2 The Busy Christian's Guide to Social Teaching. ↑ Catholic Encyclopedia (1911): Rerum Novarum. ↑ Quadragesimo anno § 88. 1 2 3 Chadwick, Owen, pp. 264–265. ↑ Van Hove, Brian (1994). "Blood Drenched Altars". EWTN Global Catholic Network. Retrieved 9 March 2008. ↑ "International Religious Freedom Report 2001" (PDF). US Department of State. 2001. Retrieved 13 March 2008. ↑ Chadwick, Owen p. 240. ↑ "Pope Stared Down Communism in Homeland – and Won". CBC News. April 2005. Retrieved 31 January 2008. 1 2 Bokenkotter, pp. 356–358. 1 2 Chadwick, Owen pp. 259–260. ↑ Pham, Heirs of the Fisherman: Behind the Scenes of Papal Death and Succession (2005), p. 45, quote: "When Pius XI was complimented on the publication, in 1937, of his encyclical denouncing Nazism, Mit Brennender Sorge, his response was to point to his Secretary of State and say bluntly, 'The credit is his.' "
1 2 3 Vidmar, The Catholic Church Through the Ages (2005), pp. 327–33, quote: "Mark well that in the Catholic Mass, Abraham is our Patriarch and forefather. Anti-Semitism is incompatible with the lofty thought which that fact expresses. It is a movement with which we Christians can have nothing to do. No, no, I say to you it is impossible for a Christian to take part in anti-Semitism. It is inadmissible. Through Christ and in Christ we are the spiritual progeny of Abraham. Spiritually, we are all Semites." 1 2 3 4 Chadwick, Owen pp. 254–255. ↑ Rhodes, p. 182-183 quote "His contention seemed confirmed in a speech by Staatsminister Wagner in Munich on the 31st March 1934, only nine months after the signature of the Concordat. Wagner said if the Church had not signed a concordat with Germany, the National Socialist government would have abolished the Catholic Youth organisations altogether, and placed them in the same 'anti-state' category as the Marxist groups. ... If the maintenance of Catholic education and of the Catholic Youth associations was, as we have seen often enough before, the principal aim of Papal diplomacy, then his phrase, 'the Concordat prevented greater evils' seems justified. ... "The German episcopate considered that neither the Concordats up to then negotiated with individual German States (Lander), nor the Weimar Constitution gave adequate guarantees or assurance to the faithful of respect for their convictions, rights or liberty of action. In such conditions the guarantees could not be secured except through a settlement having the solemn form of a concordat with the central government of the Reich, I would add that since it was the German government which made the proposal, the responsibility for all the regrettable consequences would have fallen on the Holy See if it had refused the proposed Concordat. Although the Church had few illusions about National Socialism, it must be recognized that the Concordat in the years that followed brought some advantages, or at least prevented worse evils. In fact, in spite of all the violations to which it was subjected, it gave German Catholics a juridical basis for their defence, a stronghold behind which to shield themselves in their oppositions to the ever-growing campaign of religious persecution." ↑ Rhodes, p. 197 quote "Violence had been used against a Catholic leader as early as June 1934, in the 'Night of the Long Knives' ... by the end of 1936 physical violence was being used openly and blatantly against the Catholic Church. The real issue was not, as the Nazis contended, a struggle with 'political Catholicism', but that the regime would tolerate the Church only if it adapted its religious and moral teaching to the materialist dogma of blood and race - that is, if it ceased to be Christian." ↑ Shirer, p. 235 quote "On July 25, five days after the ratification of the concordat, the German government promulgated a sterilization law, which particularly offended the Catholic Church. Five days later the first steps were taken to dissolve the Catholic Youth League. During the next years, thousands of Catholic priests, nuns and lay leaders were arrested, many of them on trumped-up charges of 'immorality' or 'smuggling foreign currency'. Erich Klausener, leader of Catholic Action, was, as we have seen, murdered in the June 30, 1934, purge. Scores of Catholic publications were suppressed, and even the sanctity of the confessional was violated by Gestapo agents. By the spring of 1937, the Catholic hierarchy, in Germany, which, like most of the Protestant clergy, had tried to co-operate with the new regime, was thoroughly disillusioned. 1 2 3 4 McGonigle, p. 172 quote "Hitler, of course flagrantly violated the rights of Catholics and others whenever it pleased him. Catholic Action groups were attacked by Hitler's police and Catholic schools were closed. Priests were persecuted and sent to concentration camps. ... On Palm Sunday, 21 March 1937, the encyclical Mit Brennender Sorge was read in Catholic Churches in Germany. In effect it taught that the racial ideas of the leader (fuhrer) and totalitarianism stood in opposition to the Catholic faith. The letter let the world, and especially German Catholics, know clearly that the Church was harassed and persecuted, and that it clearly opposed the doctrines of Nazism." ↑ Pham, p. 45, quote: "When Pius XI was complimented on the publication, in 1937, of his encyclical denouncing Nazism, Mit Brennender Sorge, his response was to point to his Secretary of State and say bluntly, 'The credit is his.'" ↑ Vidmar, p. 327 quote "Pius XI's greatest coup was in writing the encyclical Mit Brennender Sorge ("With Burning Desire") in 1936, and having it distributed secretly and ingeniously by an army of motorcyclists, and read from the pulpit on Palm Sunday before the Nazis obtained a single copy. It stated (in German and not in the traditional Latin) that the Concordat with the Nazis was agreed to despite serious misgivings about Nazi integrity. It then went on to condemn the persecution of the church, the neopaganism of the Nazi ideology-especially its theory of racial superiority-and Hitler himself, calling him 'a mad prophet possessed of repulsive arrogance.'" 1 2 3 4 Rhodes, p. 204-205 quote "Mit brennender Sorge did not prevaricate. Although it began mildly enough with an account of the broad aims of the Church, it went on to become one of the greatest condemnations of a national regime ever pronounced by the Vatican. Its vigorous language is in sharp contrast to the involved style in which encyclicals were normally written. The education question was fully and critically examined, and a long section devoted to disproving the Nazi theory of Blood and Soil (Blut und Boden) and the Nazi claim that faith in Germany was equivalent to faith in God. There were scathing references to Rosenberg's Myth of the Twentieth Century and its neo-paganism. The pressure exercised by the Nazi party on Catholic officials to betray their faith was lambasted as 'base, illegal and inhuman'. The document spoke of "a condition of spiritual oppression in Germany such as has never been seen before", of 'the open fight against the Confessional schools and the suppression of liberty of choice for those who desire a Catholic education'. 'With pressure veiled and open,' it went on, 'with intimidation, with promises of economic, professional, civil, and other advantages, the attachment of Catholics to the Faith, particularly those in government employment, is exposed to a violence as illegal as it is inhuman.' 'The calvary of the Church': 'The war of annihilation against the Catholic Faith'; 'The cult of idols'. The fulminations thundered down from the pulpits to the delighted congregations. Nor was the Fuhrer himself spared, for his 'aspirations to divinity', 'placing himself on the same level as Christ': 'a mad prophet possessed of repulsive arrogance' (widerliche Hochmut)." 1 2 Courtois, p. 29 quote "... Pope Pius XI condemned Nazism and Communism respectively in the encyclicals Mit Brennender Sorge ... and Divini redemptoris ... ."
↑ Norman, p. 167 quote "But violations began almost at once by Nazi Party officials, and in 1937 the papacy issued a Letter to the German bishops to be read in the churches. Mit Brennender Sorge ... denounced the violations as contrary to Natural Law and to the term of the Concordat. The Letter, in fact, amounted to a condemnation of Nazi ideology: 'In political life within the state, since it confuses considerations of utility with those of right, it mistakes the basic fact that man as a person possesses God-given rights which must be preserved from all attacks aimed at denying, suppressing, or disregarding them.' The Letter also rejected absolutely the concept of a German National Church." ↑ Bokenkotter, pp. 389–392, quote "And when Hitler showed increasing belligerence toward the Church, Pius met the challenge with a decisiveness that astonished the world. His encyclical Mit Brennender Sorge was the 'first great official public document to dare to confront and criticize Nazism' and 'one of the greatest such condemnations ever issued by the Vatican.' Smuggled into Germany, it was read from all the Catholic pulpits on Palm Sunday in March 1937. It denounced the Nazi "myth of blood and soil" and decried its neopaganism, its war of annihilation against the Church, and even described the Fuhrer himself as a 'mad prophet possessed of repulsive arrogance'. The Nazis were infuriated, and in retaliation closed and sealed all the presses that had printed it and took numerous vindictive measures against the Church, including staging a long series of immorality trials of Catholic clergy." 1 2 3 Duffy, (paperback edition) p. 343 quote "In a triumphant security operation, the encyclical was smuggled into Germany, locally printed, and read from Catholic pulpits on Palm Sunday 1937. Mit Brennender Sorge ('With Burning Anxiety') denounced both specific government actions against the Church in breach of the concordat and Nazi racial theory more generally. There was a striking and deliberate emphasis on the permanent validity of the Jewish scriptures, and the Pope denounced the 'idolatrous cult' which replaced belief in the true God with a 'national religion' and the 'myth of race and blood'. He contrasted this perverted ideology with the teaching of the Church in which there was a home 'for all peoples and all nations'. The impact of the encyclical was immense, and it dispelled at once all suspicion of a Fascist Pope. While the world was still reacting, however, Pius issued five days later another encyclical, Divini Redemptoris denouncing Communism, declaring its principles 'intrinsically hostile to religion in any form whatever', detailing the attacks on the Church which had followed the establishment of Communist regimes in Russia, Mexico and Spain, and calling for the implementation of Catholic social teaching to offset both Communism and 'amoral liberalism'. The language of Divini Redemptoris was stronger than that of Mit Brennender Sorge, its condemnation of Communism even more absolute than the attack on Nazism. The difference in tone undoubtedly reflected the Pope's own loathing of Communism as the ultimate enemy. The last year of his life, however, left no one any doubt of his total repudiation of the right-wing tyrannies in Germany and, despite his instinctive sympathy with some aspects of Fascism, increasingly in Italy also. His speeches and conversations were blunt, filled with phrases like 'stupid racialism', 'barbaric Hitlerism'." ↑ Chadwick, Owen p. 254 quote "The encyclical was smuggled into Germany and read from the pulpits on Palm Sunday. It made the repression far worse; but it too was necessary to Christian honour." ↑ Vidmar, pp. 327–333, quote: "Mark well that in the Catholic Mass, Abraham is our Patriarch and forefather. Anti-Semitism is incompatible with the lofty thought which that fact expresses. It is a movement with which we Christians can have nothing to do. No, no, I say to you it is impossible for a Christian to take part in anti-Semitism. It is inadmissible. Through Christ and in Christ we are the spiritual progeny of Abraham. Spiritually, we are all Semites." 1 2 Vidmar, p. 331. ↑ Duffy, (paperback edition) p. 348 quote "It is clear from Maglione's intervention that Papa Pacelli cared about and sought to avert the deportation of the Roman Jews. but he did not denounce: a denunciation, the Pope believed, would do nothing to help the Jews, and would only extend Nazi persecution to yet more Catholics. It was the Church as well as the Jews in Germany, Poland and the rest of occupied Europe who would pay the price for any papal gesture. There was some weight in this argument: when the Dutch Catholic hierarchy denounced measures against Jews there, the German authorities retaliated by extending the persecution to baptized Jews who had formerly been protected by their Catholicism." ↑ Bokenkotter p. 192 quote "The end of the war saw the prestige of the papacy at an all-time high. Many nations had ambassadors accredited with the Vatican. The President of the United States sent his personal representative, while a constant stream of the world's celebrities moved through its portals. The Holy Year of 1950 brought millions of more humble pilgrims to the tomb of Peter. The pope gave daily addresses on every conceivable subject and was widely quoted around the world. The number of Catholic dioceses increased during his reign from 1,696 to 2,048. ... Einstein, for instance, in an article in Time, paid tribute to Pius and noted that the Church alone 'stood squarely across the path of Hitler's campaign.' ... 'Rabbi Herzog, the chief rabbi of Israel, sent a message in February 1944 declaring "the people of Israel will never forget what His Holiness ... (is) doing for our unfortunate brothers and sisters in the most tragic hour of our history."' David Dalin cites these tributes as recognition of the work of the Holy See in saving hundreds of thousands of Jews." ↑ Bokenkotter, pp. 480–481, quote:"A recent article by American rabbi, David G. Dalin, challenges this judgement. He calls making Pius XII a target of moral outrage a failure of historical understanding, and he thinks Jews should reject any 'attempt to usurp the Holocaust' for the partisan purposes at work in this debate. Dalin surmises that well-known Jews such as Albert Einstein, Golda Meir, Moshe Sharett, and Rabbi Isaac Herzog would likely have been shocked at these attacks on Pope Pius. ... Dalin points out that Rabbi Herzog, the chief rabbi of Israel, sent a message in February 1944 declaring 'the people of Israel will never forget what His Holiness ... (is) doing for our unfortunate brothers and sisters in the most tragic hour of our history.'" Dalin cites these tributes as recognition of the work of the Holy See in saving hundreds of thousands of Jews." ↑ Randall, Gene (26 March 2000). "Pope Ends Pilgrimage to the Holy Land". CNN. Retrieved 9 June 2008. ↑ Vatican (12 March 1998). "We Remember: A Reflection on the Shoah". Jewish Virtual Library. Retrieved 7 November 2008. ↑ Bokenkotter, A Concise History of the Catholic Church (2004), pp. 480–1, quote:"A recent article by American rabbi, David G. Dalin, challenges this judgement. He calls making Pius XII a target of moral outrage a failure of historical understanding, and he thinks Jews should reject any 'attempt to usurp the Holocaust' for the partisan purposes at work in this debate. Dalin surmises that well–known Jews such as Albert Einstein, Golda Meir, Moshe Sharett, and Rabbi Isaac Herzog would likely have been shocked at these attacks on Pope Pius. Einstein, for instance, in an article in Time, paid tribute to Pius and noted that the Church alone 'stood squarely across the path of Hitler's campaign.' Dalin points out that 'Rabbi Herzog, the chief rabbi of Israel, sent a message in February 1944 declaring "the people of Israel will never forget what His Holiness ... (is) doing for our unfortunate brothers and sisters in the most tragic hour of our history." ' Dalin cites these tributes as recognition of the work of the Holy See in saving hundreds of thousands of Jews." ↑ Derek Holmes, History of the Papacy, p. 102. ↑ Derek Holmes, History of the Papacy, p. 116. ↑ John Vidmar, The Catholic Church Through the Ages: A History (New York: Paulist Press, 2005), p. 332. ↑ Derek Holmes, History of the Papacy, p. 158. ↑ "JOINT CATHOLIC-ORTHODOX DECLARATION OF HIS HOLINESS POPE PAUL VI AND THE ECUMENICAL PATRIARCH ATHENAGORAS I". Archived from the original on 8 February 2014. ↑ Paul VI, Pope (4 December 1963). "Sacrosanctum Concilium". Vatican. Archived from the original on 21 February 2008. Retrieved 9 February 2008. ↑ "Roman Catholic-Eastern Orthodox Dialogue". Public Broadcasting Service. 14 July 2000. Retrieved 16 February 2008. ↑ Duffy, Saints and Sinners (1997), p. 274. ↑ "Roman Catholic–Eastern Orthodox Dialogue". Public Broadcasting Service. 14 July 2000. Retrieved 16 February 2008. 1 2 Bokenkotter, pp. 454–457. 1 2 Rohter, Larry (7 May 2007). "As Pope Heads to Brazil, a Rival Theology Persists". The New York Times. Retrieved 21 February 2008. ↑ "Liberation Theology". BBC. Retrieved 12 September 2008. ↑ John Paul II, Pope (1988). "Mulieris Dignitatem". Vatican. Retrieved 21 February 2008. 1 2 Pope Benedict XVI, Jesus of Nazareth (2008), pp. 180–1, quote: "The difference between the discipleship of the Twelve and the discipleship of the women is obvious; the tasks assigned to each group are quite different. Yet Luke makes clear—and the other Gospels also show this in all sorts of ways—that 'many' women belonged to the more intimate community of believers and that their faith—filled following of Jesus was an essential element of that community, as would be vividly illustrated at the foot of the Cross and the Resurrection." ↑ John Paul II, Pope (22 May 1994). "Apostolic Letter to the Bishops of the Catholic Church on Reserving Priestly Ordination to Men Alone". Vatican. Archived from the original on 18 January 2012. Retrieved 2 February 2008. ↑ Cowell, Alan (31 May 1994). "Pope Rules Out Debate On Making Women Priests". The New York Times. Retrieved 12 February 2008. 1 2 Paul VI, Pope (1968). "Humanae vitae". Vatican. Archived from the original on 19 March 2011. Retrieved 2 February 2008. 1 2 Bokenkotter, p. 27, p. 154, pp. 493–494. ↑ "The Death Penalty Pro and Con: The Pope's Statement". PBS. Retrieved 12 June 2008. ↑ Dugger, Carol (18 May 2006). "Why is Kenya's AIDS rate plummeting?". International Herald Tribune. Retrieved 21 February 2008. ↑ Wilson, Brenda (4 May 2004). "Study: Verbal Warnings Helped Curb AIDS in Uganda". National Public Radio. Retrieved 15 August 2008. 1 2 Bokenkotter, pp. 465–466. ↑ John Paul II, Pope (22 May 1994). "Ordinatio Sacerdotalis". Vatican. Archived from the original on 18 January 2012. Retrieved 2 February 2008. ↑ "Common Declaration". Ewtn.com. 29 June 1995. Retrieved 14 October 2012. ↑ "Pentecostalism". Mb-soft.com. Retrieved 14 October 2012. ↑ "Revival Fire - by Geoff Waugh (a brief overview of revival since the 18th century)". Openheaven.com. Retrieved 14 October 2012. ↑ "Ricci Roundtable on the History of Christianity in China". Ricci.rt.usfca.edu. Retrieved 14 October 2012. ↑ "The Visions at Fátima". O Século , 15-10-1917, reproduced in Público May 12, 2000. portcult.com. Archived from the original on 31 March 2007. Retrieved 12 October 2012. ↑ "Biblica | Chinese Bible Download from Biblica". Ibs.org. Archived from the original on 15 October 2008. Retrieved 14 October 2012. ↑ "Beauraing 1932". Marypages.com. 2 July 1949. Retrieved 14 October 2012. ↑ "Columban Mission History In Korea". Columbans Ireland. Archived from the original on 6 January 2009. Retrieved 12 October 2012. ↑ "Columban Mission History in Japan". Columbans Ireland. Archived from the original on 29 September 2010. Retrieved 12 October 2012. ↑ "Where You Can Serve". Sim.org. Retrieved 14 October 2012. ↑ "Christian Radio in Haiti". Archived from the original on 22 October 2008. Retrieved 12 October 2012. ↑ "Columbans history in Chile". Archived from the original on 6 January 2009. Retrieved 12 October 2012. ↑ "Radio Lumiere". Radio Lumiere. Archived from the original on 16 January 2009. Retrieved 12 October 2012. ↑ "TIME Magazine (cover)". Time.com. 4 December 1964. ↑ "Our History". OMF. Archived from the original on 3 December 2008. Retrieved 14 October 2012. ↑ Archived 31 October 2007 at the Wayback Machine. ↑ "Messages of Our Lady at Akita Japan". Newjerusalem.com. Retrieved 14 October 2012. ↑ "Muchave, João Zacarias, Mozambique, Church of the Nazarene". Dacb.org. Retrieved 14 October 2012. ↑ "Columbans history in Taiwan". Columbans Ireland. Archived from the original on 6 January 2009. Retrieved 12 October 2012. ↑ Winter, Roberta (April–May 1991). "Blazing New Paths to the Unreached". Archived from the original on 7 August 2008. Retrieved 12 October 2012. ↑ "Columban Mission History In Pakistan". Columbans Ireland. Archived from the original on 6 January 2009. Retrieved 12 October 2012. ↑ "CIU News | Columbia International University". Ciu.edu. Retrieved 14 October 2012. ↑ "CHINA-Project Pearl, Then and Now". OpendoorsUK. 5 February 2011. Archived from the original on 3 June 2010. Retrieved 12 October 2012. ↑ "APPROVED APPARITIONS: Our Lady of Kibeho". Faithofthefathersapparitions.blogspot.com. 24 March 2006. Retrieved 14 October 2012. ↑ Archived 14 October 2007 at the Wayback Machine. ↑ "History of MAI". Maisoccer.com. Archived from the original on 8 February 2012. Retrieved 14 October 2012. ↑ "World Gospel Mission". Wgm.org. Retrieved 14 October 2012. 1 2 "TWR (Trans World Radio) History". Archived from the original on 24 March 2010. Retrieved 12 October 2012. ↑ "Evangelicals and Catholics Together". Leaderu.com. Retrieved 14 October 2012. ↑ "Virgin Mary 'appears over Egyptian church'". Zeitun-eg.org. 31 August 2000. Retrieved 14 October 2012. ↑ "Holy Lights in Assiut, Upper Egypt (March/April 2006)". Zeitun-eg.org. Retrieved 14 October 2012. Latourette, Kenneth Scott (1975). A History of Christianity, Volume 2: 1500 to 1975. San Francisco: Harper. ISBN 0-06-064953-4.